The musical finale to Labour’s conference began with You’ll Never Walk Alone and ended with Children Of The Revolution. Although it was made famous by Liverpool’s Gerry and the Pacemakers in 1963, You’ll Never Walk Alone was actually written by Rodgers and Hammerstein for the musical Carousel in 1945. That was the year Labour’s Clement Attlee swept to power in the general election after the Second World War and embarked on programme of nationalisation and creating the welfare state. Jeremy Corbyn’s end-of-conference speech here in Liverpool was full of plans for Attlee-style nationalisation and social reform. Children Of The Revolution, a 1972 hit for T. Rex – no jokes about the Labour leader being an old dinosaur, please! – is an apt description of many of the delegates attending this conference: young, left-wing and clamouring for a socialist revolution under Mr Corbyn. And to listen to Mr Corbyn – and his closest ally John McDonnell earlier this week – you’d think Labour’s red revolution was just round the corner and a general election was imminent. Their speeches sounded like those of an opposition leader and shadow chancellor when it’s known that an election is only months away. Mr Corbyn received no fewer than 10 standing ovations during and at the end of his speech. But the biggest was when he said Labour would press for a general election and called on Theresa May and the Tories to make way for Labour. Yet in fringe meetings during the week, most Labour backbenchers who spoke injected a dose of realism and were highly sceptical about the likelihood of an early election, predicting – rightly, surely – that the Tories are not going to risk giving up power by going to the polls. The other really big standing ovation Mr Corbyn won was when he said Labour would “recognise a Palestinian state as soon as we take office”. Again, as there was during the foreign affairs debate 24 hours earlier, there was waving of Palestinian flags by delegates in the hall. 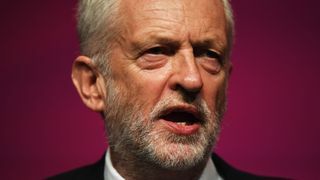 Mr Corbyn had a good passage in his speech on antisemitism, admitting this summer’s row had “caused immense hurt and anxiety in the Jewish community and great dismay in the Labour Party”. But critics will say his reassuring words to the Jewish community – “We are your ally” – should have been said months ago. 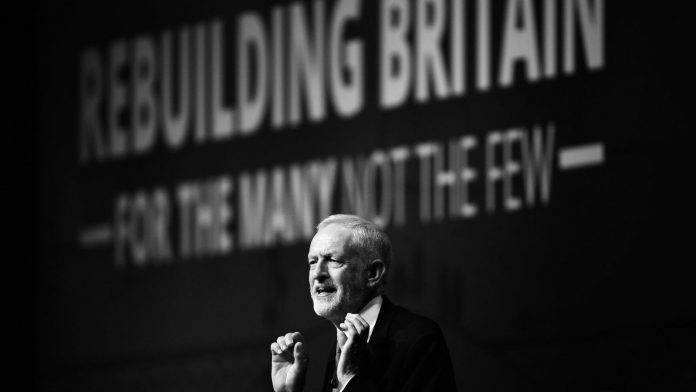 Having said that, this was probably Mr Corbyn’s best speech as Labour leader – less rambling than some and delivered in a conversational tone with contrasts in pitch and delivery that suggested he’d had some coaching. His Brexit passage was deftly executed too, especially his offer to “reach out to the prime minister” and back the Tories if they get a good deal; but to vote against an agreement with the EU if they don’t. And one of the smartest lines in Mr Corbyn’s hour-long speech was when he attacked Tory eurosceptics like Jacob Rees-Mogg, who was loudly booed by Labour delegates in true pantomime villain style. “The Tory Brexiteers unite the politics of the 1950s with the economics of the 19th century, daydreaming about a Britannia that both rules the waves and waives the rules,” he said. Nice line. Brexit has been a muddle and a struggle for Mr Corbyn and the Labour leadership this week. First a group of party fixers spent six hours, meeting long into the night to agree on the wording of the motion to be debated and voted on by the conference. 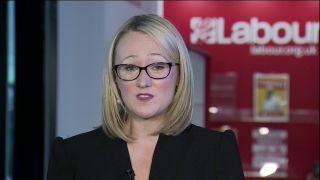 Then Mr McDonnell said a so-called “People’s Vote” should be simply about the terms of the prime minister’s Brexit deal and not include the option of remaining in the EU. But there were some glaring omissions in Mr Corbyn’s speech. No mention of the deficit, for example. At least he didn’t forget to include a prepared passage on it, like Ed Miliband did when he spoke without notes at Labour’s conference in 2014. Highlights during the week included Mr McDonnell’s passionate speech on redistributing wealth, quoting the socialism of Liverpool FC’s legendary former manager Bill Shankly. 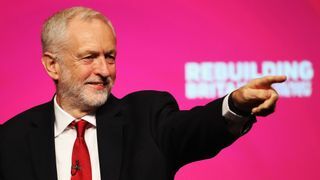 There was passion, too, in a “heart and soul” speech to conference by shadow foreign secretary Emily Thornberry, who compared antisemites in the Labour Party to the fascist Oswald Mosley. In the U-turn of the week, Ms Thornberry was denied the chance to boost her profile when a plan to create a new post of a female deputy leader was abruptly and unexpectedly dropped. The word was that the Corbynites devised the plan to curb the power of current deputy Tom Watson, but then when he backed it and it became clear that the contest would become a dry run for a future election to succeed Mr Corbyn it was dropped. The award for “loony left outburst of the week” has to be shared between Dawn Butler, shadow equalities secretary and the pro-Corbyn backbencher Laura Smith. That was a reference to Liverpool City Council – with the flamboyant Derek Hatton of Militant as its figurehead – refusing to set a legal rate in protest against Margaret Thatcher’s policy of rate capping. Ms Smith was speaking at the Socialist Campaign Group at Momentum’s The World Transformed festival when she said: “Comrades, we must topple this cruel and callous Tory Government as soon as we can. Wow! Not even Unite boss Len McCluskey is calling for a general strike right now. And Ms Smith was slapped down by the party leadership. This was a very different conference from the Tony Blair years or even the Kinnock years. The left-wing protesters who used to attack the Labour leadership are running the party now. The music has changed too. In 1991, when the now Lord Kinnock was months away from fighting the 1992 general election, Labour’s conference ended with Freddie Mercury’s We Are The Champions. In 1997, New Labour’s campaign song under Mr Blair was D:Ream’s Things Can Only Get Better. One song never changes. Labour still sings The Red Flag. 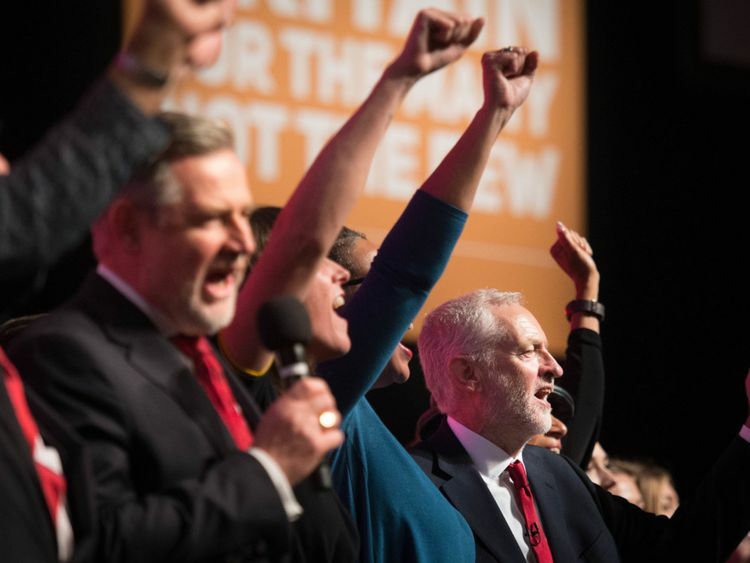 Except now the leadership – and the predominantly left-wing activists – sing it with more passion, as if they actually mean it.